Fender bass guitars serve as the driving force behind some of the best moments in music. No matter the product, the best Fender bass guitars will surely bring out the best in you as a player due to its fair share of exceptional features. It is worth noting however, that there are varied models of the guitars, making it difficult for you to pick the right one. In this article, we will be identifying ten of the best Fender bass guitars in the market. Moreover, we will list down the characteristics which each of the products possesses. A great choice for anyone looking for a professional bass guitar. This Special Jaguar Bass is perfect for students starting out on bass guitar and comes at a great value. As a musician, one of the first things that you have to do is to identify the characteristics which should be present on any Fender bass guitar. This way, you will be able to select the most appropriate instrument that would be functional and accurate to suit your needs. Here are two of the features that you should look for when picking the best Fender bass guitars. One definite feature that you must take into account when looking for Fender bass guitars is the material which was used. It is worth noting that the wood that was used for the bass guitar would affect its weight and tone. Hence, you have to consider how you will the material was used on bass guitar.Mahogany bass guitars, for instance, are noted for the warmth of their tones. On the other hand, maple bass guitars produce a crisp and bright tone. Alder and ash bass guitars are comparable tone woods which offer a balanced tone. The fingerboard of the Fender bass guitars should also be taken into consideration. A coated fingerboard could help produce a longer sustain and a fretless sound. This feature would wear for a longer period when used with round-wound strings. On the other hand, an uncoated fingerboard produces a warmer and more natural sound than the other one. 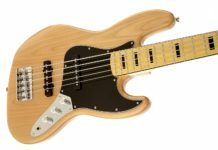 The features which were mentioned above are just some of the key features that you should take into consideration when picking the best Fender bass guitars. It is worth noting that the end choice will still be dependent on your preference as the player. The first product on our list is the Squier by Fender Vintage SS Modified Special Jaguar Bass. This is a bass guitar with an Agathis body and a maple C shape neck. The neck, in particular, consists of a 9.5-inch radius and 20 medium jumbo frets. The bass guitar also includes a standard 4-saddle black pickguard, a master tone, two volume controls, and a split single-coil precision bass pickup. Its fretboard could come in two various configurations: rosewood fretboard and laurel fretboard. This bass guitar is available in varied colors such as candy apple red, Olympic white, 3-color sunburst, black, silver, and crimson red transparent. 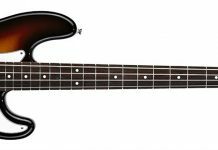 The Squier by Fender Vintage Modified Jaguar Bass is a bass guitar with a 34-inch scale maple C shape neck, a rosewood fingerboard, and 20 medium jumbo frets to benefit the needs of bass players. It further consists of a single-coil jazz bass bridge pickup which has been paired up with a split single-coil precision bass pickup. Other features of this Fender bass guitar includes an active bass boost circuit with two volumes and a set of tone and boost controls. It is available in two colors: black and 3-color sunburst. The next guitar model on our list is the Squier by Fender Affinity Jazz Beginner Electric Bass Guitar. This a quality bass guitar which excellent hardware and construction, making it a great buy for beginners and professionals alike. It consists of a set of neck and bridge pickup volume controls and a master tone volume which allow you to tailor the sound it is able to produce. Its two single-coil pickups offer an exceptional range of classic and contemporary tones. It is available in varies colors such as brown sunburst, Torino red, and slick silver. The Squier by Fender 306702505 Vintage Modified Jazz Bass is a bass guitar with a traditional jazz bass tone that is delivered by two Fender-designed single coil pickups. It has a rich look and presentation brought about by its vintage tinted gloss neck with block inlays. It is also noted for its 70s sound and feel, allowing players to have a superior performance for its value. This bass guitar is available in varied colors such as amber sunburst, black, candy apple red, and natural. The Fender Standard Jazz Electric Bass Guitar is a perfect choice for any musician who is seeking to upgrade to a professional level bass guitar. This instrument is equipped with two modern style single-coil Jazz bass pickups which provide clear and articulate tone. The tinted C shape neck offers universal comfort and a vintage style. It has reduced hum as provided by the shielded body cavities. It comes in two different styles namely: maple fingerboard and Pau Ferro. It is also available in five different colors such as black, arctic white, brown sunburst, candy apple red, and lake placid blue. The Squier by Fender Affinity P/J Beginner Electric Bass Guitar is a great choice for aspiring musicians due to the value it provides. With a single -coil jazz bass and a split single-coil precision bass pickup, this bass guitar is able to provide a variety of classic Fender tones. Its 20-fret rosewood fingerboard provides an organic feel and a warm tone. Its modern C shaped neck offers comfort for any style of playing. With the right equipment, this instrument is surely hard to beat. The Squier by Fender Vintage Modified Precision Beginner Electric Bass Guitar is also an excellent choice for beginners. Like the other Fender bass guitars, this instrument is noted for its vintage-tint maple neck with a C-shaped profile and a 20-fret rosewood fingerboard. This bass guitar consists of a split single-coil precision bass neck pickup and a standard single-coil jazz bass bridge pickup. It also includes a vintage-style bridge with single-groove saddles. It is available in three different colors: candy apple red, lake placid blue, and 3-color sunburst. The Fender Standard Jazz Electric Bass Guitar is another great choice for any musician who is seeking to upgrade to a professional level bass guitar. This instrument is equipped with two modern style single-coil Jazz bass pickups which provide clear and articulate tone. The tinted C shape neck offers universal comfort and a vintage style. It has reduced hum as provided by the shielded body cavities. It comes in two different styles namely: electric guitar and Pau Ferro. It is also available in two different colors: black and brown sunburst. 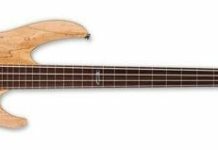 The Fender 143412300 Deluxe Active Precision Bass is a special bass guitar with a PJ pickup configuration. It consists of a split-coil precision bass middle pickup and a vintage noiseless jazz bass bridge pickup. It also includes a three-band equalizer with treble, mid, and bass boost. Its 4-saddle HiMass bridge allows the increase of attack and sustain. It also has a 4-bolt asymmetrical neck plate for a more efficient performance. This bass guitar comes with a maple fingerboard. The last product on our list is the Fender American Professional Jazz Bass. It is noted for its slim C neck shape, maple wood construction, and its bolt-on neck joint. It also features a rosewood fretboard and a V-mod single coil bridge. This bass guitar is a refinement of the concepts which were first introduced in the precision bass. Due to the combination of modern features and materials, this bass guitar exudes speed, power, and articulation. It is available in various colors such as black, candy apple red, natural, 3-color sunburst, Olympic white, and sonic gray. It should be noted that the best Fender bass guitars are essential in any jazz or rock bands. Being the backbone of any musical piece, such instruments should be chosen carefully so that your performance would be exceptional. Henceforth, you should examine each of the products well so that you would be able to determine the right instrument for you.